If I ask participants in a workshop session, “How many of you mediate online?” I see relatively few hands spring into the air. If I ask, however, “How many of you actively use email, attachments and Web sites in communicating with both clients and colleagues?” virtually every hand in the room goes up. Our day-to-day use of the Internet has become so routine that we barely take conscious note. We check our email multiple times daily and spend increasing time on the Web, but we barely notice our increasing use and reliance (until, of course, our connection goes down). Whereas ten years ago, perhaps 5 percent of professionals had email, now virtually all professionals have email. The vast majority of our mediation participants also have email. Email and the Web are increasingly the way the world works. One needs a Web site and email address today at least as much as stationery and a business card. Really far more. I remember mediating my first few cases with a typewriter. Any change in the agreement meant my retyping pages, if not an entire document. Then the word processor came along. What a change! Suddenly, mediators were able to easily edit text as often as needed. Sometimes technology really is great! The Web (us all being on the same network) is also especially helpful and appropriate from an ethical and practical perspective. The private sector is, essentially, unregulated in terms of qualifications. Private sector mediation is market-based and, ultimately, dependent on transparency and disclosure. In public sector programs, while there are commonly minimum training and experience requirements, participants and their professional advisors still need to be able to access complete information about mediators who might assist them. This is especially true when participants are working with a limited panel of mediators and hence there is an elevated importance for qualifications and background to be timely and thoroughly disclosed. If for no other reason, mediators need capable Web sites, or at least Web pages, to take care of utilitarian transparency and disclosure needs. If you want to compete in the market in a realistic way, this transparency and disclosure needs to be offered to colleagues and participants on a 365/24/7 basis. The wise mediator also realizes that his/her transparency and disclosure is going to be compared with other mediators’ transparency and disclosure and, if you want a financially healthy practice, you want to compare favorably. And, realistically, this is a steadily rising bar. Before we get into the essentials of favorably comparing, however, let’s review things we can do “beyond the Internet” (as part of our everyday habits) to improve our Internet performance. Your comprehensive Web site is a gift and convenience for clients and referral sources. A modern Web site should have comprehensive information about you and your services, with no technical limits on Web site size. It is best to have well-named and short pages that are easy to navigate. Long pages are burdensome and hard to navigate. Keep Your Web Site Fresh! There are few things that are a bigger turn off for Web site visitors than seeing clearly old dates and activities that should have long ago been cleared from the Web site. This gives the impression that there is nobody home. You want to give the impression that there is somebody home, and not just any somebody, but somebody who is very active and knowledgeable about the mediation field. So, your site should be fresh, with current dates and changing content, at least on your home page. Your site can mention conferences attended, presentations made, articles written and your future schedule. Be sure to delete stale dates! Providing valuable content and links are the way that you “serve then sell” on the Web. These might be links to resources, articles by yourself and others, professional associations, ethical standards, etc. You want to demonstrate that you are attuned to the needs of your visitors. If you are taking visitors to pages off site, then it is best for you to learn how to open a new browser as they go to the new site. This way they will also maintain your site in an open browser. Google is, of course, the leading search engine. Doing right by Google means a lot on the Internet. So, how does one do right by Google? First off, you want substantive content that is on point for the search being made. So, if you think people looking for your services will most likely search on “divorce mediation New York” then you will want those terms on your Web site home page as well as in your Web site as “meta tags.” Meta tags are a bit technical in that they are hidden code that people do not generally see, but search engines do see and report this information. The three key meta fields are Title, Description and Key Words. You want a Web site system that allows you to directly control these meta tags. Google gives most points when your key words are in each of the meta fields as well as in the body of your page. That is hitting a home run in terms of relevance. The next challenge with Google is to get other such relevant sites, such as ACR, Mediate.com, your state association, related professionals and others linking to your site. Linking from professional directories, articles you have written and other relevant sites all helps. Links from relevant popular sites are most helpful. Capable work on your meta tags, along with a half dozen to a dozen relevant, popular links back to your site, will help you to rise in the Google search engine for the terms that you have decided to emphasize. 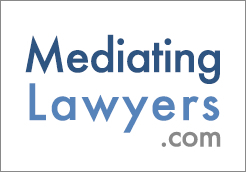 In addition to getting other relevant and popular Web sites like www.ACRnet.org, www.Mediate.com, your state mediation association and other professional sites to link to your Web site, it may make sense for you to consider some measure of paid advertising on the Web. One key suggestion here: Make sure that there is a geographic component to whatever you do. For example, in the case of Mediate.com, this might mean considering the MediatorDirect program where you can target visitors from certain area codes or our state banner program where you can target visitors from a certain state. The key is to avoid marketing to everyone on the Web (wasteful) and, rather, to focus your efforts on your realistic geographic market segment. As a general statement, the chance of someone across the country (not to say globe) coming to use your mediation services is far lower than someone from your area code, city, county or state using your services. As another example, if you pay for sponsor links with either Google or Overture (another big player), you are wiser to pay for such terms as “Los Angeles Probate” or “Southern California Probate” than just the words “Los Angeles” or term “Probate.” You give yourself the best chance of finding fruitful visitors by pairing substantively relevant terms with your key geographic terms. One of the great things about the Internet is that it takes some of the guesswork out of advertising and promotion. If you have capable web site statistics that tell you overall site performance, how often people to go each page, how long they stay there and, finally, where the visitor is coming from (what other domain), this information can not only help you to best understand and coordinate your Internet marketing, but all of your marketing. For example, let’s pretend that you write an article for the local paper and include your Web site in the short bio at the end. That display of your Web site location will almost surely result in a spike in traffic to your Web site for the days and weeks following distribution. This is the place that I tell you my personal Web site is at www.smartmediator.com. I will then get some measure of increased traffic to my Web site and, by looking at my Web site stats, I will be able to determine with precision the amount of increased traffic. Pretty cool. So, pretty much any promotional campaign, whether it is email, Web, hard copy, sending out an article or making a presentation can be measured in terms of effectiveness if you: (1) powerfully give out your Web location (URL); and (2) pay attention to your Web site stats. To a great extent, Web sites are just out there and people need to be reminded to go there. One of the best, surely most affordable, ways of doing this is by short email newsletters. In our era of spam and filters, no email strategy is perfect, but here are a couple of options. First, remember to collect those valuable referral source email addresses. Next, you can either use a more sophisticated “subscribe/unsubscribe” system (will cost a bit) or you can simply put your list of 50-200 or so email addresses in the “bcc” field of an email (addresses separated by a comma) and then send that email newsletter to your own email address in the “To:” field. The most effective email newsletters are short and to the point. Provide your recipients with clear value (letting them know of valuable content and events) and perhaps close with a note about a new set of information at your site. Most importantly, you are reminding referral sources in a giving way that you exist. You will note increased calls now that these folks are thinking of you. With new Dynamic Web sites, where you can easily change content at any time, there should be minimum, if any, friction between you and your Web site. Your mediation Web site should, in fact, be a virtual representation of the best “you” that you can offer. Due to the ease of growing and refining Web sites these days, in some way you should be reinventing your business (and perhaps yourself) on a daily basis on the Web. The affordability and changeability of the Web simply cannot be beat. What you will increasingly find is that your Web site is the most current expression of your work and self and, given how easy it is to update our sites, businesses and selves, perhaps there will be a bit less complaining and conflict, if only about stale Web sites. The future is already here. In addition to all of our discussion about text and images, we are already seeing popular use of audio and video in professional Web sites. Under the rubric of transparency and accountability, we will almost surely find, in a sort of “Masterpiece Theater” kind of way, more and more mediators, sitting in the easy chair, in front of a warming fire, with dog at feet, describing one’s mediation practice, commitment to resolution and approach. If "a picture tells a thousand words," a 1-3 minute video clip may tell "a million words." Fasten your seat belt, the future is now.